Commuter car parking along the South West Rail link was always going to be one of the big issues for the March 23 state election. The acute shortage of car parking for commuters at Edmondson Park in particular was fertile ground for Labor or independents to win votes by promising to act if elected. Last week the Liberal Government declared it was still in the game by announcing $40 million plans for 700 new parking spots at Edmondson Park. Local members such as Holsworthy’s Melanie Gibbons stood next to NSW Premier Gladys Berejiklian as she made the promise. Labor did not waste much time firing back, getting its transport spokesperson Jodi McKay out to Edmondson Park station to reaffirm their promise to match the government’s 11th hour commitment. Member for Macquarie Fields Anoulack Chanthivong, Labor candidate for Holsworthy Charishma Kaliyanda and federal MP Anne Stanley joined forces with Ms McKay to remind voters a Daley Labor Government “will put commuters first by further expanding its commitment to car parking at Edmondson Park Station’’. 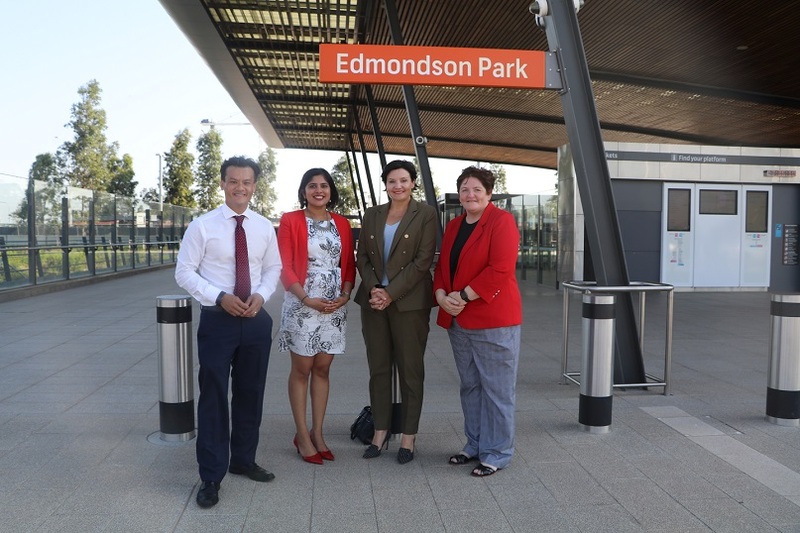 Don’t be fooled by the government’s election eve promise: MP Anoulack Chanthivong with Labor candidate for Holsworthy Charishma Kaliyanda, state Labor transport spokesperson Jodi McKay and federal MP Anne Stanley at Edmondson Park station last week. Ms McKay said the Liberal Government had consistently ignored the commuter car parking crisis in south west Sydney and the premier’s announcement to build a multi-storey car park at Edmondson Park “smacked of a desperate government playing desperate politics’’. “The commuter car parking crisis at Edmondson Park is not new. The Liberal Government’s inaction on this issue over the past four years has been appalling and a last ditch attempt to salvage votes is nothing short of a desperate government staring down the ballot box. Mr Chanthivong, Ms Stanely and Ms Kaliyanda said they have long been advocating for an urgent upgrade of the Edmondson Park commuter carpark, launching petitions calling for immediate action. “I welcome and applaud Labor’s further commitment to expanding commuter car parking at Edmondson Park, which is desperately needed,’’ Mr Chanthivong said. “Local commuters have endured years of inaction by this Liberal Government, which has failed to deliver the infrastructure to support our rapidly growing community. “But don’t be fooled by shallow promises from this incompetent government. “The same Liberal Government that puts developers and profits before people and wants to unleash high-rise monstrosities in your neighbourhood, leading to more overcrowding, more congestion and a diminished quality of life,’’ he said. “I have been fighting for more commuter car parking across my electorate for years. “It’s time that commuter carparks were no longer battle grounds. Following months of campaigning by local MPs and the community, in April last year NSW Labor acknowledged the commuter car parking crisis, committing $18 million to build a multi-storey commuter carpark at Edmondson Park Station. 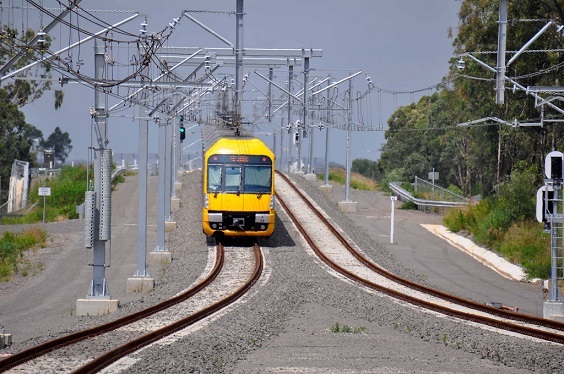 In November last year it announced that it would partner with a Shorten Federal Labor Government to invest $16 million to build an additional 300 car parking spots at Leppington train station – another area feeling the chronic strain of overdevelopment and too little infrastructure. But with the government now upping the ante by $22 million for Edmondson Park, the question is: will Labor be forced to follow suit between now and the election?